I don't remember the last time I did whatever I wanted to do, without receiving input from anyone else, without worrying about anyone else. That's why I put this selfish goal on my list. My day started with sleeping in until 7:20 AM. I still woke up around 6, but I decided to be lazy. stay in bed, and kinda doze a bit. When I got up, I didn't feel like making up the bed. So I didn't. Whaaat?!? I got up craving a Chick-fil-a chicken biscuit. Normally, I'd just make a Garden of Life shake, but not today. I pulled on my stretchy pants, hopped in the car, and hit up the CFA drive-thru. Then I came back home, plopped down on the couch, and flipped on the Today Show. I really like Today, but since it comes on during working hours, I haven't watched it in ages. While I had the chance to do whatever I wanted, I stayed put and watched the entire show. Then I lazed around on the couch with my laptop for an embarrassingly long time, perusing Christmas decor on Pinterest. All those Christmas pins made me wanna go buy stuff. So...I went to TJMaxx and got some Christmas kitchen towels and these Mixed Roots Chips that were on clearance. Then I was hungry again. 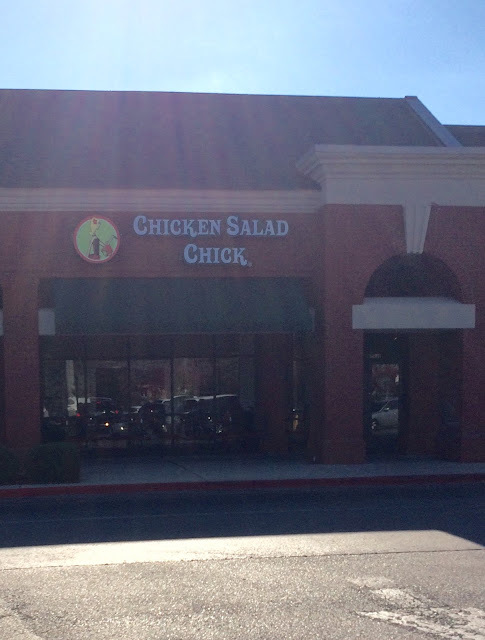 And craving Chicken Salad Chick. Matt isn't much of a fan of this place (what guy really is? ), so it seemed like the perfect opportunity to go there without feeling bad for dragging him along. After lunch, I headed back home, enjoying listening to my music as I drove over the mountain. The fall colors that surrounded me enraptured me and made me want to get out into nature for a closer look. So as soon as I got home, I leashed up Annie, and we set out on a little walk. We walked for a little over thirty minutes, and it was sooo nice. The weather was gorgeous; it was just the perfect fall day. But, ready to be lazy again, I went back inside and scanned the growing stack of books I've been meaning to read. I selected Apocalypticon by Clayton Smith, a snarky post-apocalyptic novel I've been dying to start. I settled in and read away for the rest of the afternoon. That was it. 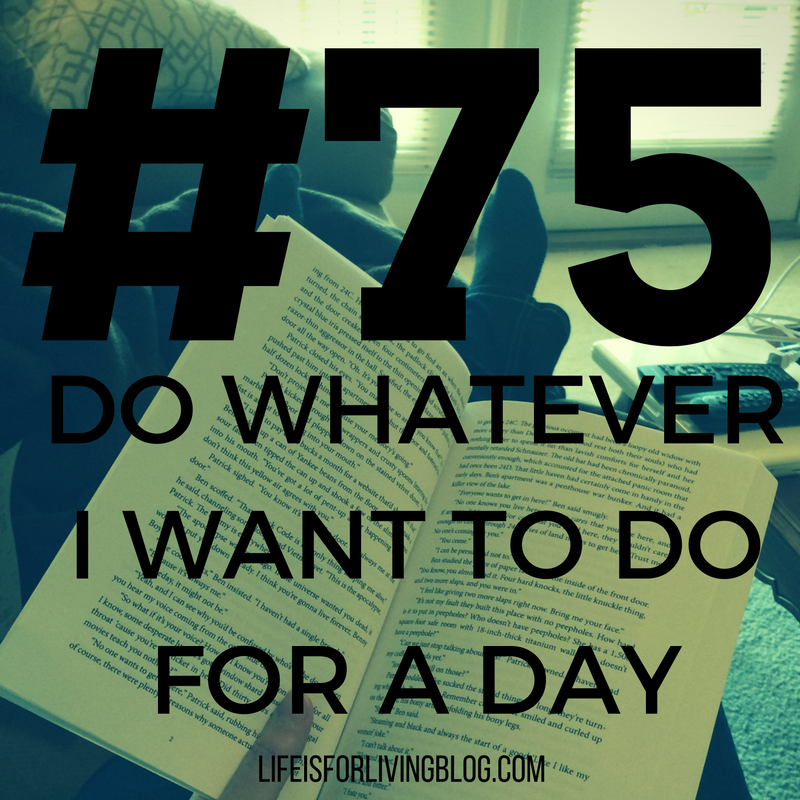 My lazy, selfish, day of me-time. It was quite a freeing experience. See, I tend to be kind of a pushover, or maybe just a peacekeeper; I don't like conflict, so I usually let whoever I'm hanging out with pick the music on the radio or the restaurants when we dine out. This was a chance to do whatever I wanted to do, without answering to anyone about it. And it was pretty nice.